Located in "Wildlife Village", this end unit Townhouse is tucked in the corner of this well kept FHA approved and small complex in quiet east side neighborhood. The main level of this beautiful unit offers a fabulous large eat-in kitchen with granite counters, a sunny living room, first floor bedroom/den/office, half bath and access to a nice sized deck bordering wooded buffer. The second floor features 2 good sized carpeted bedrooms and a full bath with tile floor. The full basement with hatchway/stairs to the outside offers lots of storage space and the potential for additional finished living space. New central air unit. The one car detached garage is directly across from the unit. 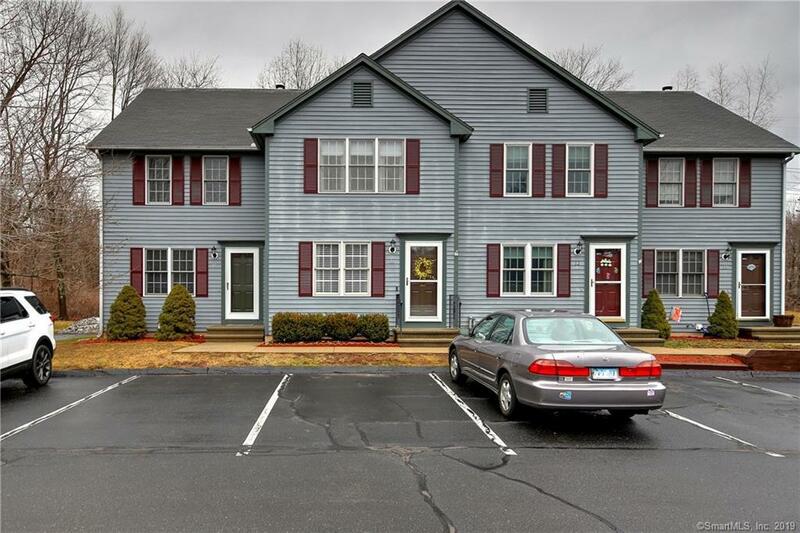 Convenient to New Haven, Hartford, Middletown and close to Quinnipiac University's North Haven campus. If you're looking for a truly nice and affordable condo in a peaceful atmosphere and convenient location, then this is the unit for you.